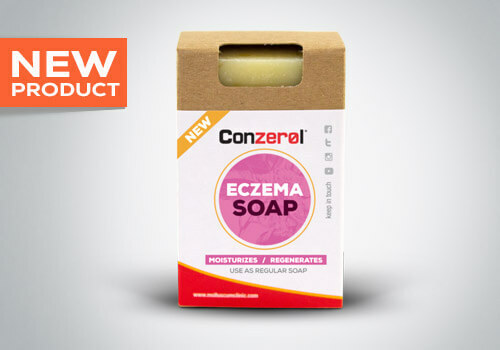 Gentle to the skin while providing antiviral and antibacterial compounds found in nature, our soap delivers a blend of essential oils that have been specially chosen for their antimicrobial properties. 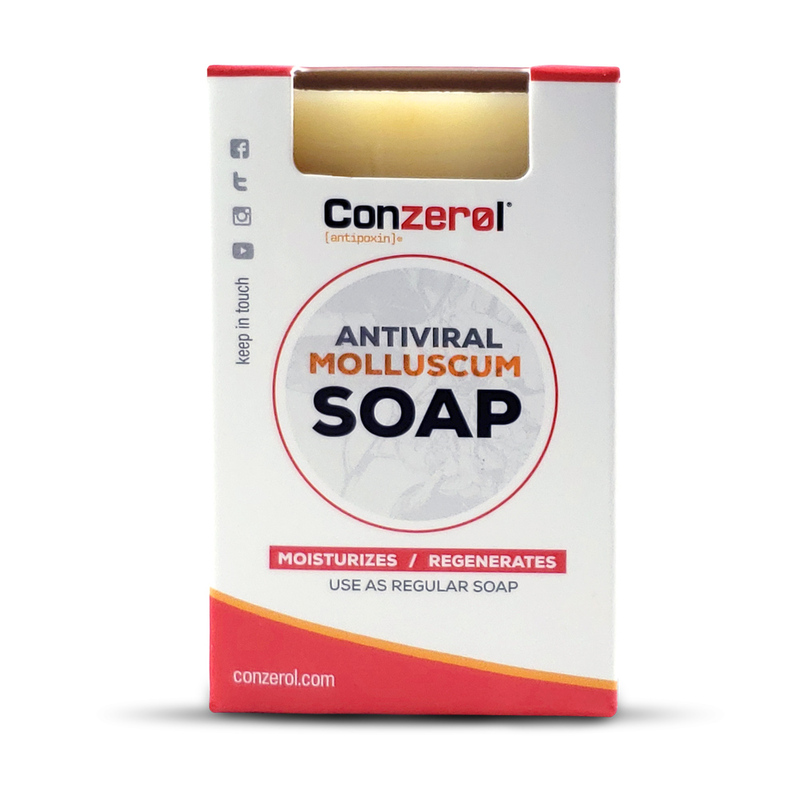 MCV may lie dormant on skin up to several weeks before infecting micro abrasions found in skin, leading to new lesions. 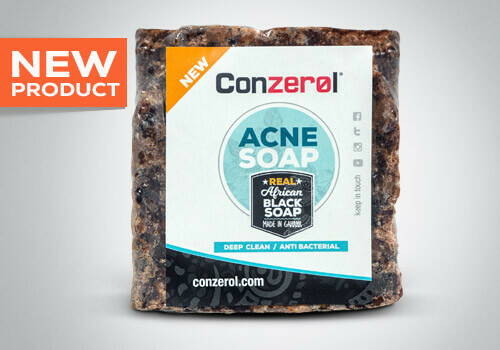 We recommend using the soap daily. 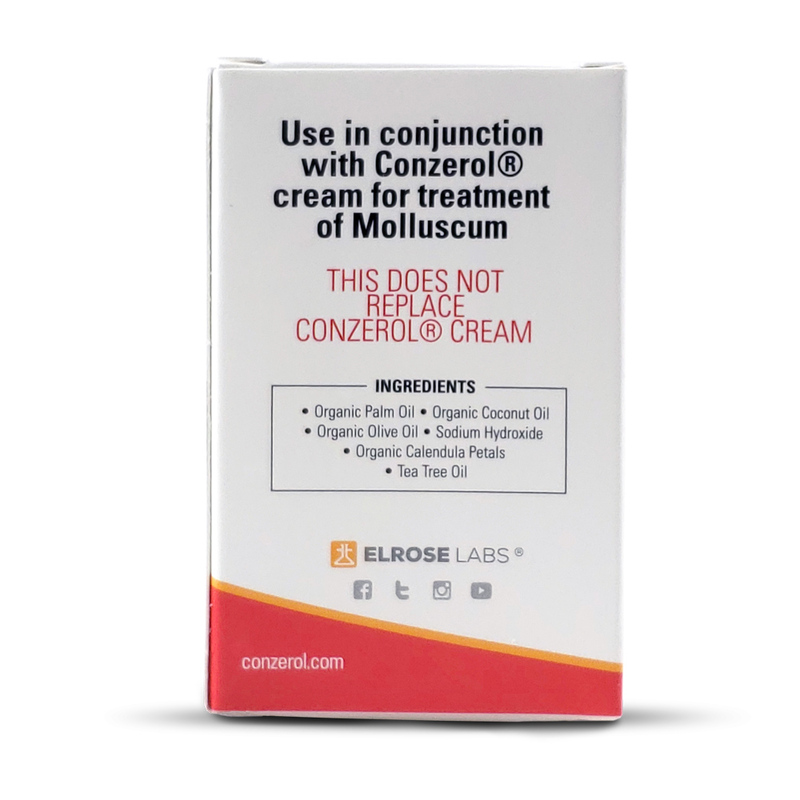 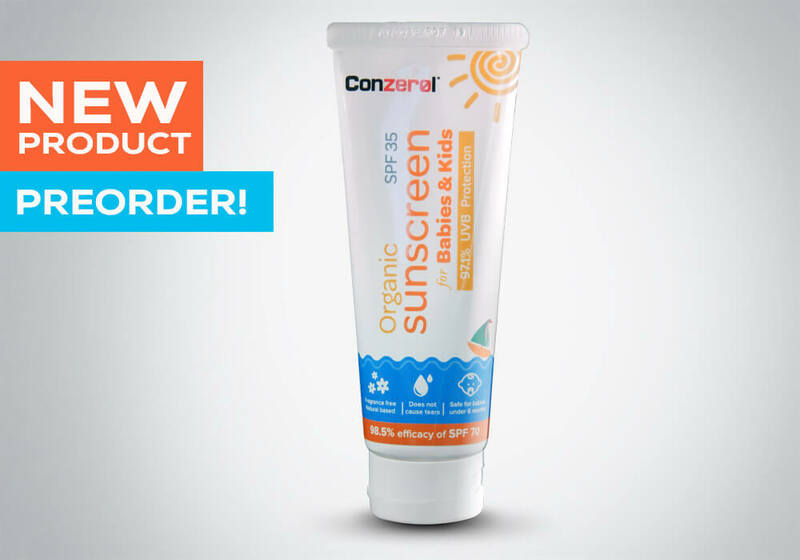 Use Conzerol Soap® in conjunction with Conzerol Cream® to treat molluscum contagiosum.